Remember the stash of beads I showed you last Tuesday from The Best Beads? 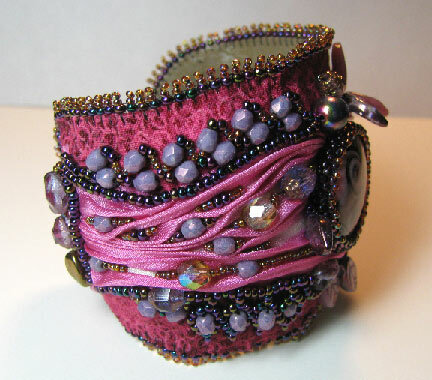 Well, this is what they turned into...Gypsy Rose was named by Linda Daunheimer Weber on the Beading Arts facebook page. Thanks Linda! 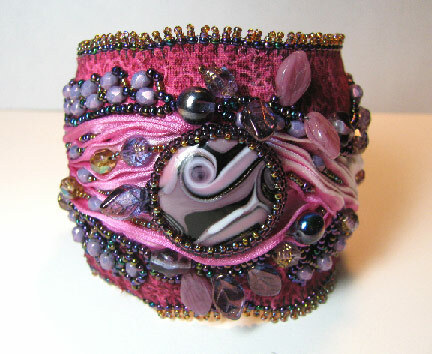 You will find the tutorial on Ekaterina's site. It is also found in my e-book Bored By Back Stitch, in chapter 3. It's lovely and the name is perfect. Who made it? 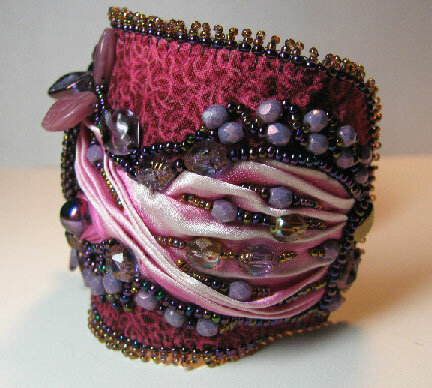 It's very similar to your Tidal Pool cuff. These are really cool!